Skeptics subscribe to the philosophy that true knowledge of reality is unattainable. More generically, skeptics are people who tend to question the truth of things that are of a contentious nature. In ufology, the involvement of skeptics has largely been that of criticism and debunking. 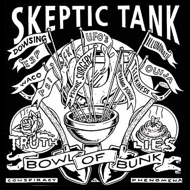 A skeptical approach is indispensable to serious investigation, but groups like CSI ( formerly CSICOP ) and the James Randi Educational Foundation ( JREF ) have been accused of ignoring relevant information and/or degenerating into mockery and ridicule. Ufologists have been similarly criticized and the tension has evolved into an "us versus them" relationship. Groups like USI hope to change this situation by appealing to the common desire of both sides to establish the truth. One of the most famous skeptics in ufology was Philip J. Klass who proposed that many UFO reports might be explained as a previously unknown type of plasma produced as a by-product of high voltage electrical distribution equipment. Klass suggested that such plasmas would be consistent with reports of UFOs near power lines and might further explain the reported effects of UFOs on the electrical systems of airplanes and automobiles. However Klass was unable to substantiate the plasma theory, so he shifted his focus toward misidentifications and hoaxes. His debunking of the Travis Walton abduction case strongly suggests that it was indeed a hoax.